Mrs. Brown's Boys is a British 30 minute scripted comedy television series, which kicked off on February 21, 2011, on BBC One and is broadcast every Monday at 22:35. The show is currently in its 3th season. BBC One is yet to announce the renewal of Mrs. Brown's Boys for Season 4 as well as its cancelation. Sign up to track down the show's status and its release date. 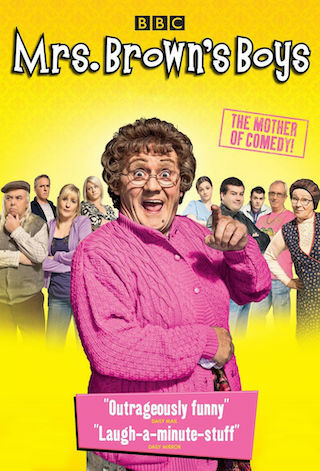 Comedy starring Brendan O'Carroll as loud-mouthed Irish matriarch Agnes Brown, whose favourite pastime is meddling in the lives of her six children.